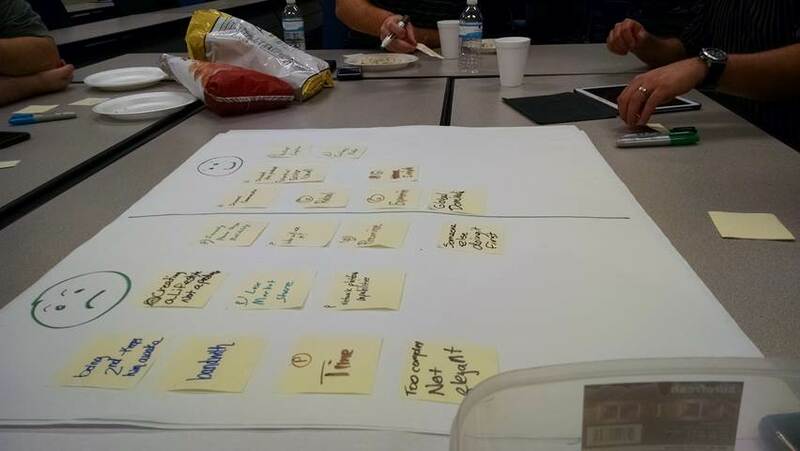 I recently had the opportunity to attend the first Agile Game Night put on by Tampa Bay Agile and found it to be a great experience. As a big fan of Gamestorming and similar training/collaboration/ideation games, I love that there’s a place that can act as a kind of “laboratory” for me to experience them directly and determine if they can be used in my own work. Here’s a recap of the games we played, and my thoughts on each one’s potential use. Commonalities game (from the book Improv-ing Agile Teams): intro game to help a group of people get to know each other. We had 7 people in our group, and supposedly it gets more interesting the more people there are. Potential uses: This was a great ice breaker for our group, and a surprisingly quick introduction to each other outside of the standard work/job stuff. I generally don’t have much interest in “ice breakers,” but I can see where it might be useful when putting together teams or groups that need to get up to speed quickly. Break it Down/Build it Up game (from the book Ctrl Shift): a creativity game to get people brainstorming and working together in a positive way. 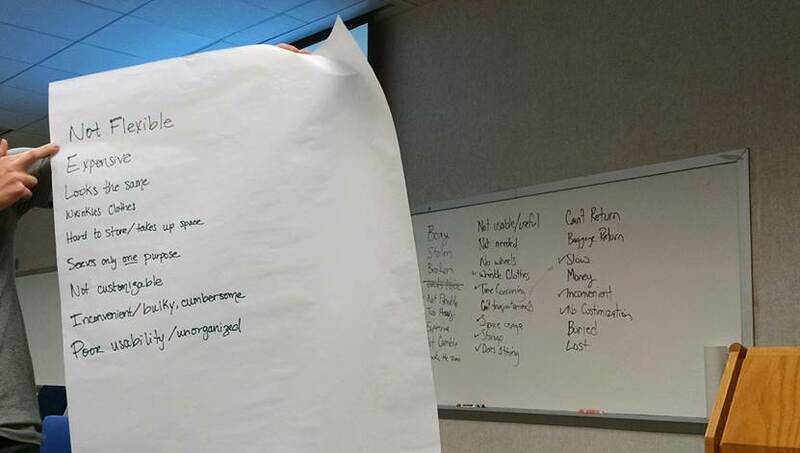 Potential uses: This was a simple exercise that got us talking and collaborating in positive ways. It was interesting to see how going through the negative activity slowed us down when we flipped to being positive. Despite this, it seemed to focus a bit more on what the true value of our object really was. In practice, I think it might be more compelling to get teams to come up with a “pitch” (like in the next activity) to force them into finding that focus. The presentations as they were kind of just turned into listing a bunch of things. Pains/Gains mapping (from the book Gamestorming): another creativity game where we used mapping to develop empathy for the person that we were trying to persuade. In this case, we had to pitch the idea of adding attachments to emails in the original iPhone (pretending we were in 2007) to Steve Jobs. Potential uses: Definitely the most intriguing exercises of the night, but one that initially left me a little confused (since there are multiple stages to it, maybe delivering the instructions at each stage would be more clear). I love the idea of “organizing your empathy” for the person who’s receiving your message – a tool that could be useful not only in a training session, but in business in general. The end product created by teams in the exercise is also really interesting. Since there’s so many different ways you can “pitch” an idea, the creative possibilities are a lot more open than simply presenting a list of benefits and drawbacks.